and... huh... I think the first picture you posted was the wrong one! OOOPppps, you right, fix it. about the psu, remember that I have not routed the cables yet, also, where would the air from the fan blow to??? Why is your top fan clear? Mine is black. The HAF 932 has a vented bottom. 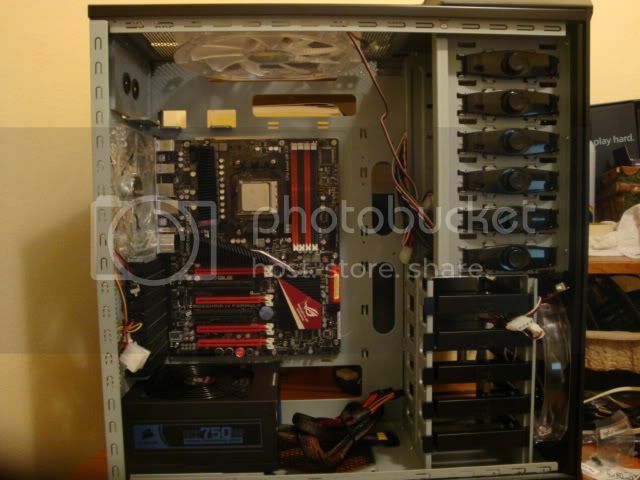 So when you have the PSU laying on the fan, the air will either be blown directly out the bottom or sucked in from the outside.. depending on whether the fan is exhaust or intake. Oh, and Locutus, I believe he got the HAF 932 blue edition which has all the 230mm and 140mm fans replaced by ones with blue LEDs. BP9801 gave you the correct answer. I knew this issue would come up but I do not really know what is best ATM so I just placed it like that to see if my temp is good. I really do not know which way is this fan, intake or exhaust. I really do not know how would this affect yet. So this means this fan is intake?? Like I said, I do not know yet. Anyways, I had made some progress look. Now I have to go look into some H50 installations with dual fan mount instructions, I have no idea how to install this yet with this case,mobo, etc. 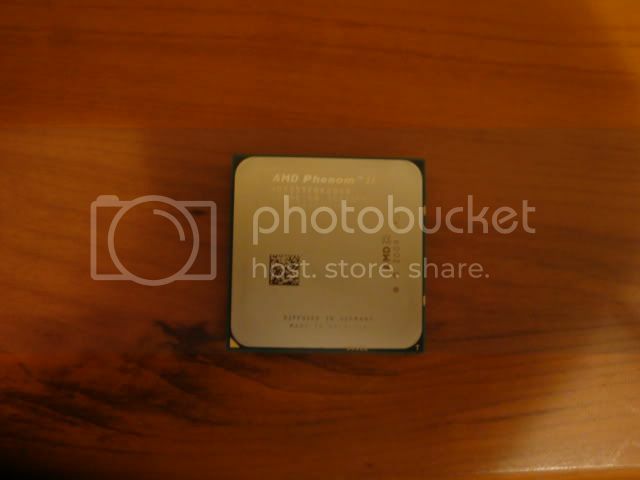 Well, I believe with the H50 you'll need to remove the black plastic surrounding the CPU socket on the motherboard. The H50 has its own mounting system that doesn't work with the motherboard one, so you'll have to unscrew that. Ok, I will be back on action putting together my system today. Will be mounting the H50 first. 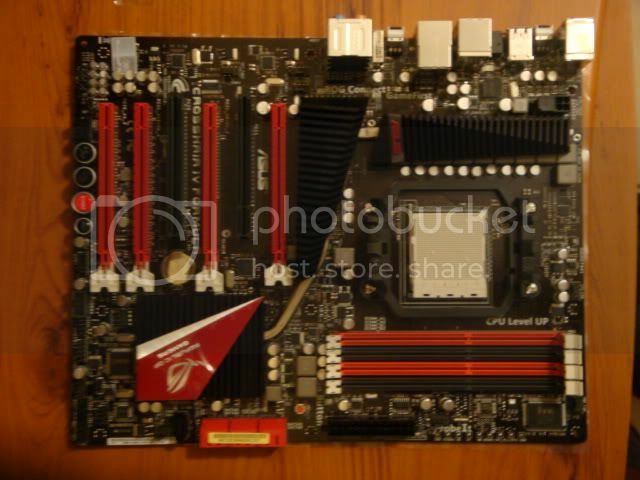 One question I have is if I can use the original back plate behind the mobo that the crosshair iv has to mount the H50, I already know that the I have to use remove the black plastic mount in from and replace it with the one that come with the H50. nice build by the way, mine is very similar. but you must paint your case! I already changed the back as well, the screws were different. I know about the NB already, I was just going to take it apart before starting then I said to heck with it, I will take my chances since this board is a rev 1.02g already, maybe ASUS fixed the issue already.